The purpose of this group is to share faith, serve the church community, and express the love of God and neighbor through music, to provide a prayerful atmosphere and to support and encourage the assembly to sing. This ensemble typically meets regularly from Labor Day through Memorial Day practicing once per week and singing for one weekend Mass, Holy Day Masses, and other prayer services throughout the year. 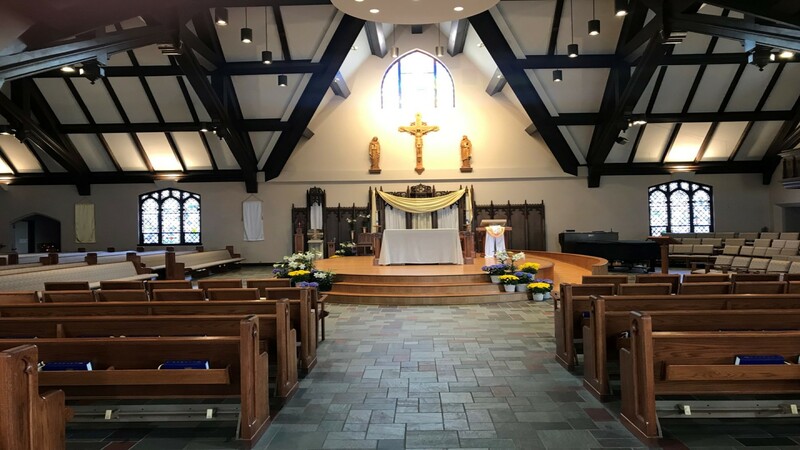 The funeral choir at St. Margaret Mary Parish is comprised of those who offer their time and talent on an as needed/as available basis to sing for funerals which happen in our parish. A calling tree is made up of those who offer their names as part of this ministry. To be able to offer this service to those who pass away and their families is such a sign of hospitality and provides a sense of comfort and consolation through music to those who mourn. Cantors are skilled musicians who offer their time and talent to lead the congregation in song at various Masses, prayer services, and other occasions throughout the year. A cantor is a member of the worshiping community whose liturgical ministry is to lead the assembly in prayer, song, and response to the Word of the Lord. The cantor primarily engages the assembly and invites them to sing praise. The cantor leads the singing of the psalm and the gospel acclamation. Cantors are schedules according to their personal availability and rehearse every other Wednesday or at another mutually agreed upon time with the music director. For those who play various instruments, from percussion to woodwind, from violin to guitar to brass, we have opportunities for you. Throughout the liturgical year, various seasons lend themselves to different styles and tones of music. From more introspective to outwardly joyous celebrations, we can certainly try and find a place for your musical instruments and gifts.